Locally-Sourced Seasonal Ingredients Make the Best Fall Desserts! 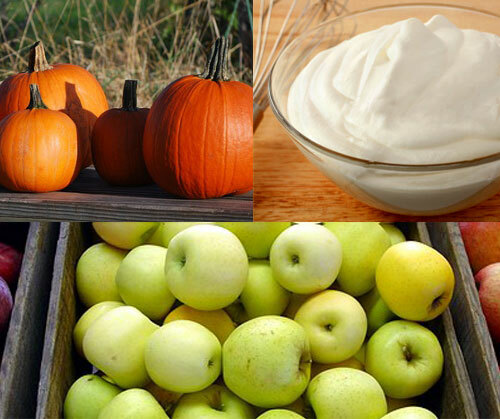 Pumpkins, pears, apples, heavy cream and butter – all the wonderful stars of our Fall desserts don’t travel very far before being baked into our delicious pies, tarts and cheesecakes. We source our fresh, seasonal produce from local farmers around New York State and New England — sugar pumpkins for our pies might come from Wilkens Fruit Farm in Yorktown Heights, and golden delicious apples for our tarts might have been grown by Outhouse Orchards in northern Westchester. Even our heavy cream comes from dairies in the picturesque Hudson Valley. We think that keeping it local means keeping it fresh and delicious! Taste the difference for yourself by sampling one of our crisp and buttery Apple Pies, our luscious Pear Almond Cream Tart, or our sinfully creamy Pumpkin Cheesecake. It’s great to hear that you are sourcing your ingredients locally. You not only support our local farmers and businesses but everything is fresh because it wasn’t made that far away. There is no question that your desserts are fresh and delicious!